Today was an exciting first for me. As you may have read in earlier posts, I have taken to gardening over recent months. 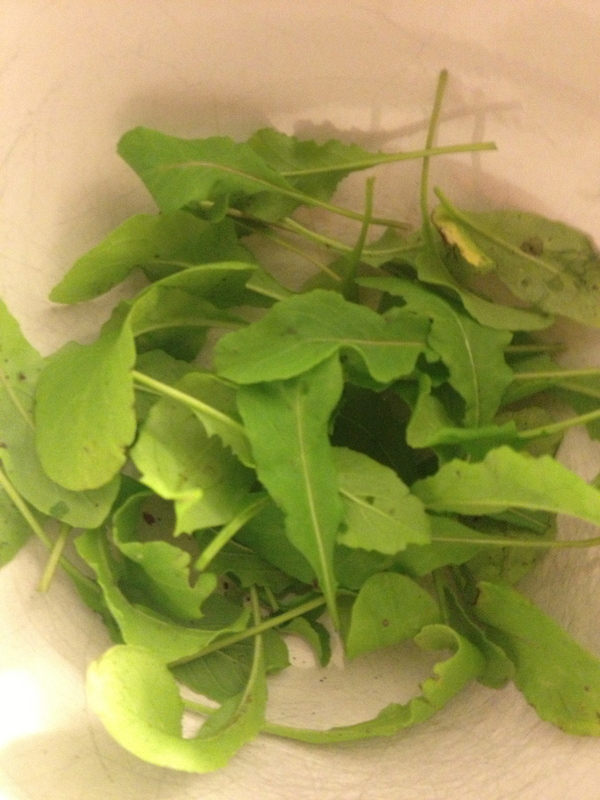 Well folks, today was the first time I harvested and ate something I had grown myself (aside from herbs…I’m talking things you can make a meal out of here). Rocket was the lucky plant in this instance. Rocket made the final cut into my garden largely because I had it on good authority they are easy to grow and low maintenance. This has proven to be true. Aside from losing a couple of seedlings to an enthusiastic blackbird chasing worms, my rocket plants are starting to resemble a pretty decent salad. I am proud. So, when one is harvesting one’s first crop, one really wants something special sharing the plate. And that special something is goat cheese. If you fancy hearing about my rocket and goat cheese salad with honey and balsamic dressing, read on. This salad requires doing pretty much all preparation simultaneously and then throwing to together at the end, which requires vigilance to any burning smells. 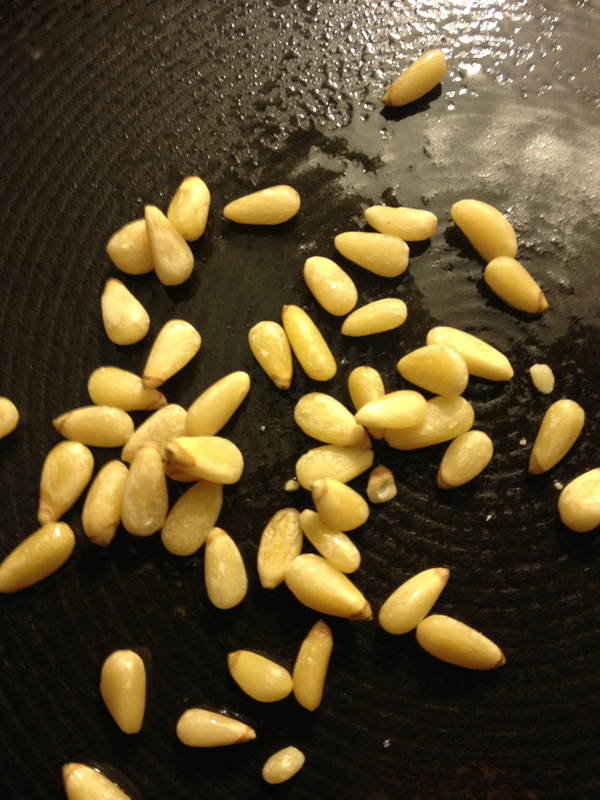 I started by toasting the pine nuts in a non-stick frypan. Watch those little critters, they burn all of a sudden. I find they only need a couple of minutes of medium heat. 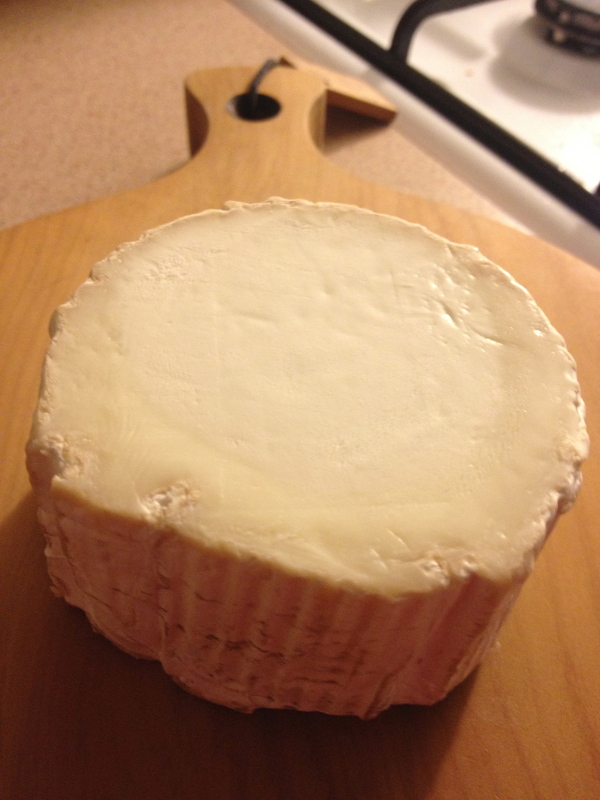 Slice rounds of the goat cheese and place in a heat proof dish. Put it under a hot grill and grill for several minutes until golden brown. While all this is going on, make the dressing by whisking the honey, vinegar and oil together. 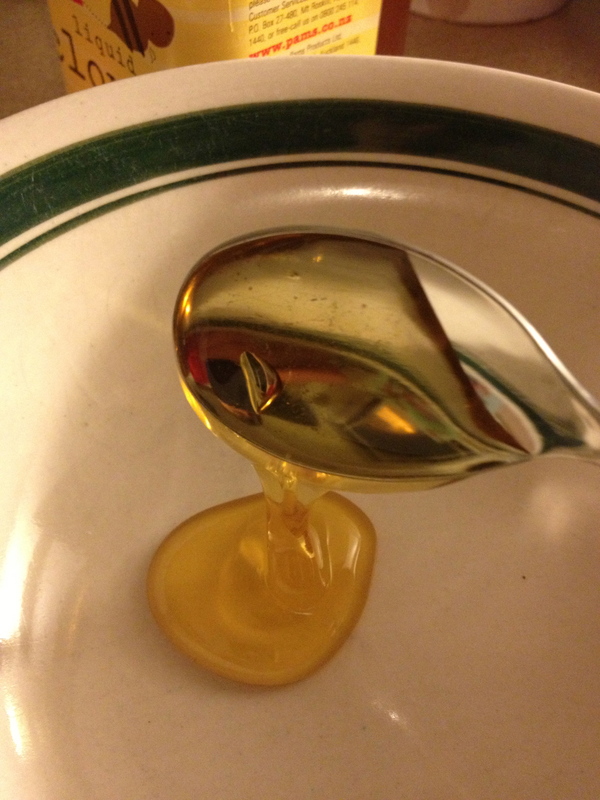 I microwaved my honey first for 15 seconds first, which was helpful to proceedings. Place the rocket leaves in two bowls. Top with the grilled cheese and pinenuts. Add the dressing and combine. 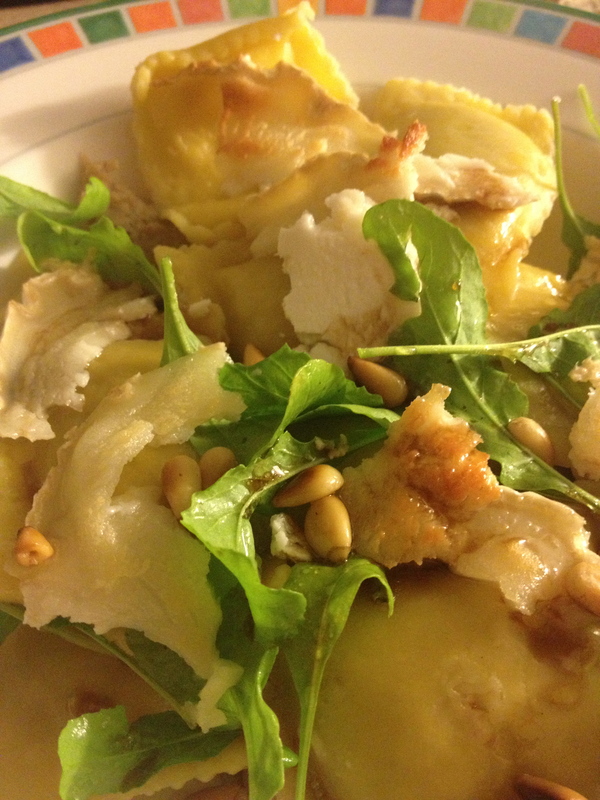 As my rocket plants are in the first flush of youth, my harvest was modest, and so we had this salad on top of some fresh pasta to fill the meal out a little. It was okay teamed with the pasta, but another time I would have the salad with bread or grilled chicken if a little padding was needed. Not so bad if I say so myself. So impressed with your gardening. I’ve tried to grow the odd thing here and there but even if something survives it tastes gross! What’s up with that!? Thanks Hannah! I put heaps compost all around the seedlings to make up for my lack of gardening experience…think I am feeding them into submission! Aw, thanks lovely. I was amazed they were still there, let alone growing, after the storm! And now I have an excuse to eat grilled goat cheese on tap in my own garden.